If you are new in the Azure world, this article don’t worry, as we will include step by step instructions to guide you until the end. If you have experience in Azure and SQL Server, but you do not know much about this particular new feature, this article may also be helpful. Azure is growing each day and SQL Server is improving the features to connect SQL Server on-premises to Azure. BULK INSERT is a powerful tool to import data because it is fast and it can be easily combined with T-SQL code. In this first example, we will create a CSV file with customer data and then we will import the CSV file to a SQL Server table using BULK INSERT. The BULK INSERT statement will import the data from the mycustomers.csv file to the table listcustomer. The field terminator in this file is a comma. The row terminator is a new line (\n). The first example can e brun in SQL Server 2017 or older versions. The second example requires SQL Server 2017 and it is a new feature. We will load the CSV file to an Azure storage account and then we will load the information to SQL Server 2017 on-premises. We uploaded data to an Azure storage account in a container. Now, open SSMS in a local machine and connect to a local SQL Server. The master key is a symmetric key used to protect certificates, private keys and asymmetric keys. BULK INSERT is a very fast option to load massive data. It is a popular tool for old versions of SQL Server and new ones. SQL Server 2017 supports the ability to run BULK INSERT statements to load data from Azure storage accounts to SQL Server on-premises. 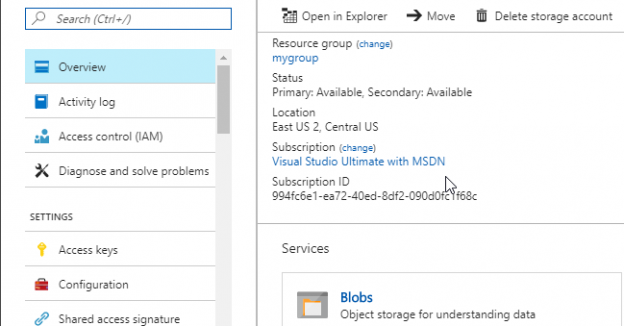 To import data from an Azure storage account, you need to create a master key and then create a credential with a key to the Azure storage account. Finally, you create an external data source with that credential. Once created the external data source, you can use the BULK INSERT. You may need to change the access policies to the container. Note that a Windows account is not used to connect to Azure. That is the most important difference between a local BULK INSERT and a BULK INSERT to an Azure Account. In a local BULK INSERT operation, the local SQL login must have permissions to the external file. In contrast, when you BULK INSERT an Azure file, the credentials are used, and the Windows local login permissions are irrelevant. BULK INSERT is not supported in Azure SQL Data Warehouse or Parallel Data Warehouse and the option to import files stored in Azure is by the moment only supported in SQL Server on-premises and not in Azure SQL databases yet.